Ever since I had read about the Inca trail and seen beautiful pictures online, I wanted to trek there. So, we decided that our next destination will be Machu Picchu and we are going to do the 4 day trek. However, what happened is a completely different story, but it is worth mentioning what all it took for us to plan the 4 day trek. Day 1: Arrive late in Lima. Overnight in Lima. Day 2: Fly to Cusco. Spend half a day roaming around. Day 3: Day trip to Sacsayhuman. Day 4: Leave early in the morning for trek. Trek Day 1. Day 5: Trek Day 2. Day 6: Trek Day 3. Day 7: Trek Day 4. 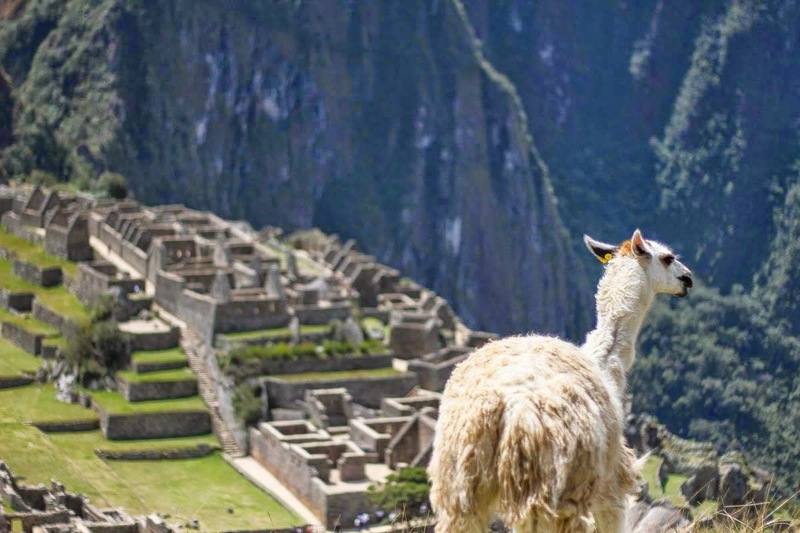 See Machu Picchu. Return to Cusco at night. Day 8: Fly to Lima. Half day Lima sightseeing. Overnight in Lima. Day 9: Half day sight seeing. Fly back in the evening. 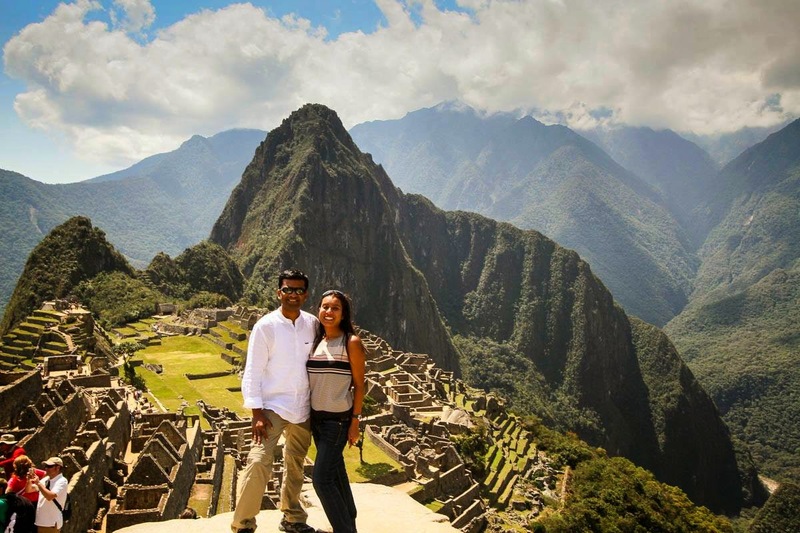 There are many trails leading to you Machu Picchu, and they take different amount of time given the difficulty level and the length of the trail. The most popular one is the Inca trail, the one used by the Incas. It is the most difficult trail and takes 4 days of planned trek. This is the one we chose. But before you start the trek, you have to spend a minimum of two nights in Cusco to acclimatize to the high altitude. So, we kept 7 days for our trek. We spent two days in Lima. There isn't much to see apart from a couple of cathedrals, main plaza and the coastline. November-January: This is the rainy season, but also the summer time in Peru. February: The trail is closed during this month. March-July: Winters with less rains. Since you hike at an high altitude, be prepared for very cold weather. August-October: Weather is changing from winters to summers and it is the time for slight showers. We chose this season because of our holiday schedule and we realised it won't be very chilly. Weather was in fact perfect when we went and would have been great to hike. Directly to Cusco: If Lima isn't one of your high priority cities, you may be able to fly directly to Cusco. We weren't able to find any direct flights, so we had to fly to Lima airport (LIM). We flew by TACA airlines(now Avianca) and they were pretty good. Lima to Cusco: There are many domestic flight from Lima to Cusco everyday. 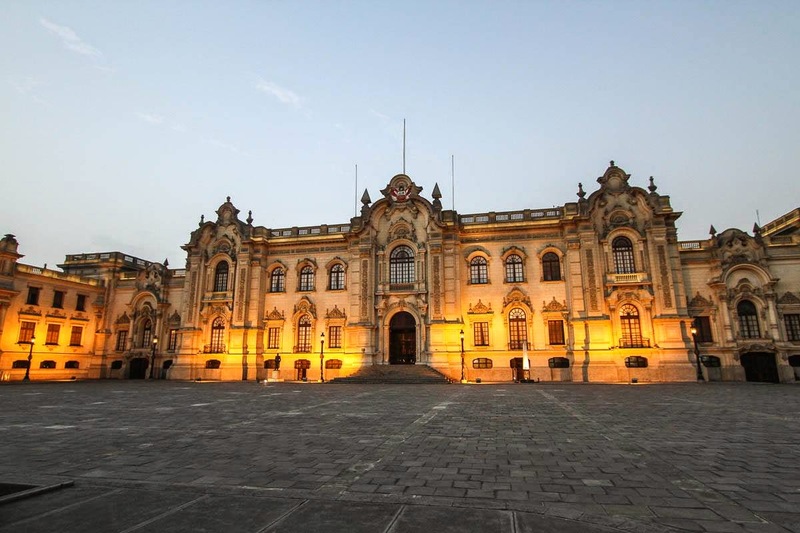 In general, choose a flight in the morning because the weather usually worsens after noon and you do not want any cancellations if you want to acclimatize in Cusco. The flight from Lima to Cusco was very scenic. Get a window seat as you would be flying right above snow capped mountains. Most important thing to do is to book the trek well in advance. The permits sell out four months in advance. For our trek in September first week, we booked our trek in April. Train for the trek. It is strenuous trek with a lot of elevation gain. We trained ourselves by training for a half marathon and some hiking. We did mission peak hike twice in a week to get used to elevation gain. Spend at least two nights in Cusco. Altitude sickness is real! But after two days we felt absolutely fine. So the two days that everyone asks to spend in Cusco are actually required. 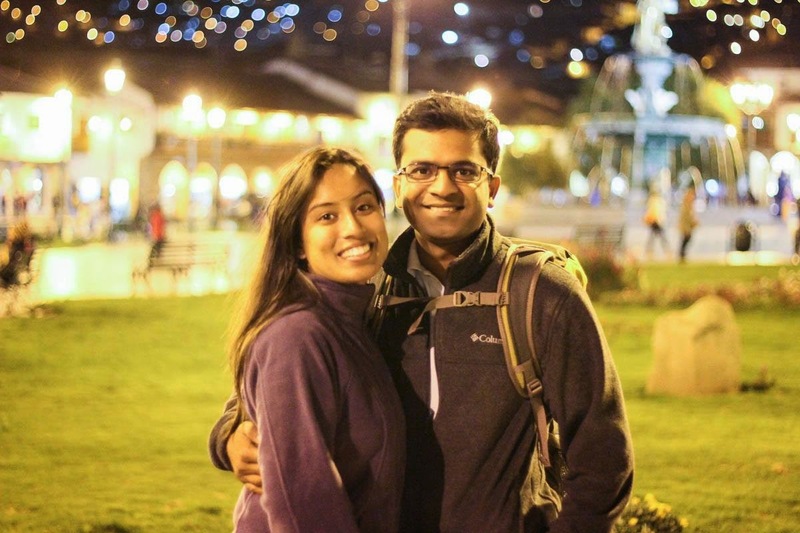 I had booked our trek with Peru Treks. Even though we did not end up doing the trek, our experience with them was quite good. A couple of my friends had trekked with them and had great things to say about them. I am pretty sure they would have been great. The trek companies are very particular about the dollar bills. They shouldn't be old and at times they do not accept certain serial numbers. So keep some extra. Look at their website for details on what to pack. Keep snacks, layered clothing, extra socks, rain gear and whatever they say! Sumit also trained hiking with a loaded backpack as we have to carry your own stuff during the trek because porters can only carry a maximum of 20lbs or so. Booked our train tickets using Peru Rail. We departed from Cusco and arrivde in Machu Picchu (Aguas Calientes, closest station to Machu Picchu). There are three categories. Hiram Bingham is the executive class. Vistadome has glass roof and windows and provides excellent views of the journey. The regular one in Expedition. We booked Vistadome. Booked our bus tickets from the train station at Machu Picchu (Aguas Calientes) to the main site. They have limited tickets for each day and it makes sense to buy them ahead of time. We went to their ticket office in Cusco and bought our tickets for the next day. Very quick and convenient. Bought tickets to the entrance of Machu Picchu. Here is their website. You will have to take a printout of your confirmation. Booked a cab to the train station in Cusco. It is about 40 minutes from the main plaza. After you get off the train station at Aguas Calientes, you walk through a small marketplace to get to the bus stop. You get on the bus and once it is full, it is only a 20 minutes, beautiful and steep drive to the ruins. To get back, you have to wait at the bus stop outside the ruins and it brings you back the same route. There are certified guides outside the archaeological site. You can hire them on per hour basis. It took us 2-3 hours for a brief tour of the ruins. We found a mother-daughter pair who were also looking to hire a guide. So, the four of us hired a guide for ourselves. I believe it is important to know all the history behind these place to be truly able to appreciate it, hence the guides are always very helpful. We didn't, but if you plan to hike Wayna Picchu(The tall mountain in the background), you need to get permits well in advance. So, plan accordingly. You can also hike to the sun gate if you have time. Definitely go up to Guardian's hut and take pictures of the beautiful panoramic views. If you are hiking the Inca trail, your trail guide would guide you at this site as well, so you wouldn't need to hire any guide on your own. Cathedrals in the Main Plaza: There are two cathedrals in the main plaza. They are very strict on their closing time. Both have beautiful architecture. The sparkling gold plating speaks of the spaniards who had ruled Peru for years. One thing in particular that I found funny was, The Last Supper painting inside one of these cathedrals had a guinea pig instead of a loaf of bread on the table. Ruins: Sacsayhuman are popular ruins near the city. We didn't get time to visit them, but they are close to the white jesus statue (similar to the one in brazil, but smaller in size) you can see from the main plaza. They make for a good day trip and you can take a cab to get to them. Walk around: San Francisco plaza, and the market place around are good places to visit. We walked around in the narrow alleys and felt like we were in Simla! There are many many options to eat and the restaurants are pretty good. Machu Picchu: We did not, but if you plan to stay overnight in Machu Picchu, which is a good idea, then you need to book a hotel in Aguas Calientes. The ruins look their best in early morning sunshine and with lesser crowd. 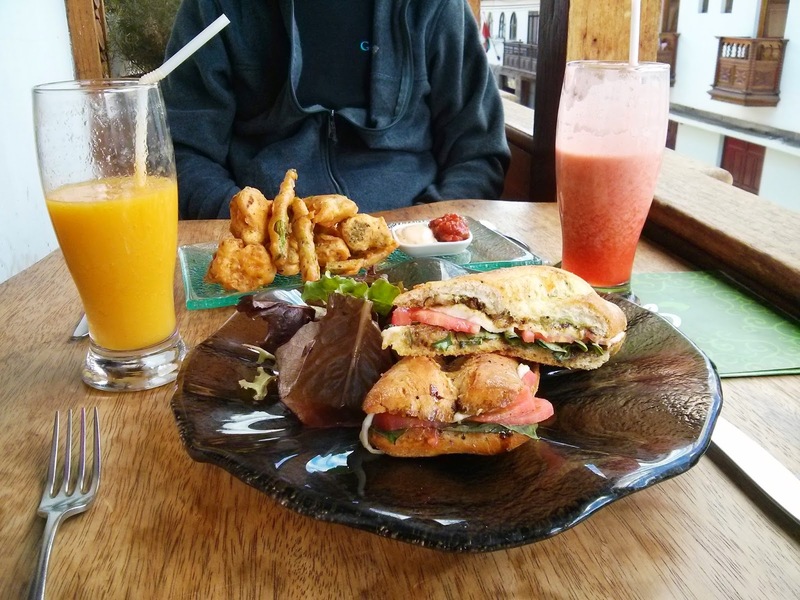 Cusco: We stayed at hotel Tierra Viva, near Saphi and they were very good. Use cabs to get around in Cusco, they are dirt cheap and are fun. Some of them are so rickety, that you feel they will fall apart like any moment! Cusco has a plenty of restaurants. Lot of vegetarian options too! Very very touristy place. Do try the triple sandwich(avocado, eggs and cheese) at La Bondiet. We didn't explore much because of my ill health, but there are a lot of options to paraglide, bike, etc. There are two things you need to take care of, first the low oxygen and less humidity and second, the food you eat. We felt a little trouble with breathing and were running out of breath for about a day, but we felt better in about 24 hours. It isn't that difficult to deal with. Due to less humidity, at times we had nose bleed (very minor), but it wasn't dangerous. Our hotel had oxygen tanks to offer in case we wanted. We got a prescription for altitude sickness, but didn't really have to use them. Be very careful with what you eat. Do not eat raw vegetables/fruits. Salmonellosis is very common amongst the tourists and that is exactly what happened to me. I ate something wrong(still don't know what) in either Cusco or Lima. I was feeling uneasy since the second day in Cusco and the night before I had to leave for our trek, I started throwing up and had loosies every 40-45 minutes. So much so that even a sip of water meant I was going to throw up. We called a doctor recommended by our hotel. He came by and examined me. He recommended that I shift to the hospital for a quicker recovery and to be under observation. I felt quite better the next day around afternoon, but stayed in the hospital for one more day just to be sure. I am just thankful that it happened before I had left for the trek as it would have been impossible to manage anything in middle of nowhere. We had SOS International health insurance. We were fully covered and did not pay a penny from our pockets. The hospital facilities in Cusco were also very good. The rooms were neat and clean and staff was very helpful. The hospital I was in is Clinica Parades. Google translate and sign language helped communicating with the staff as only the doctor knew english, but it wasn't that much of an handicap. Lima has safe and unsafe area. 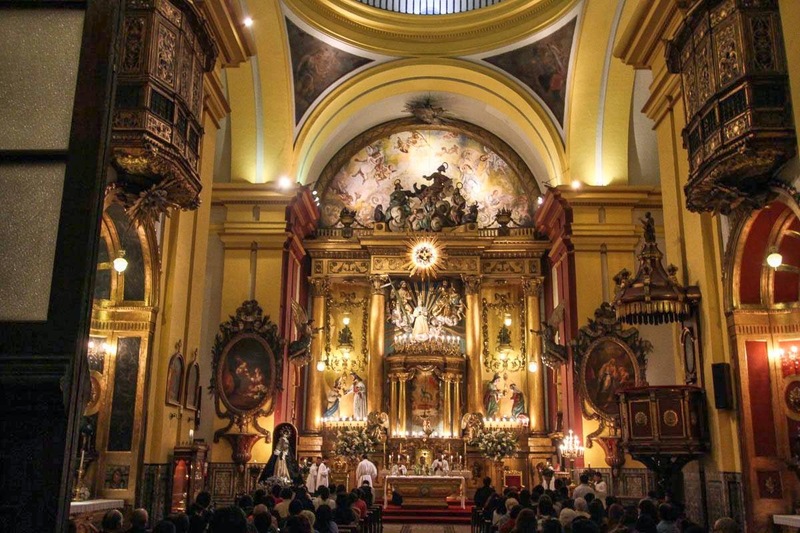 Miraflores and San Isidro are the more popular areas with the tourists. We stayed at Radisson, San Isidro. I would recommend it. It is the central area where people love to hang out. It has Presidential Palace on one of the sides. A beautiful cathedral on the other. A lovely fountain in the centre and a lot of colorful buildings on other sides.Best time to visit would be evening. Catacombs were the highlight of our trip to Lima. It might sound creepy, but I was actually amazed when I saw them. Here is what I am talking about. Yes, real bones! There is a small church next to the monastery and it is pretty cute. We paid a quick visit to the museum. It wasn't as impressive as I had read online and if you are not much in to museums, I would recommend skipping it. I felt someone with a big bungalow opened a museum as it was located in side a huge house in a residential area. Water fountain park would be its best description. A pretty cute place with lots of different water fountains. 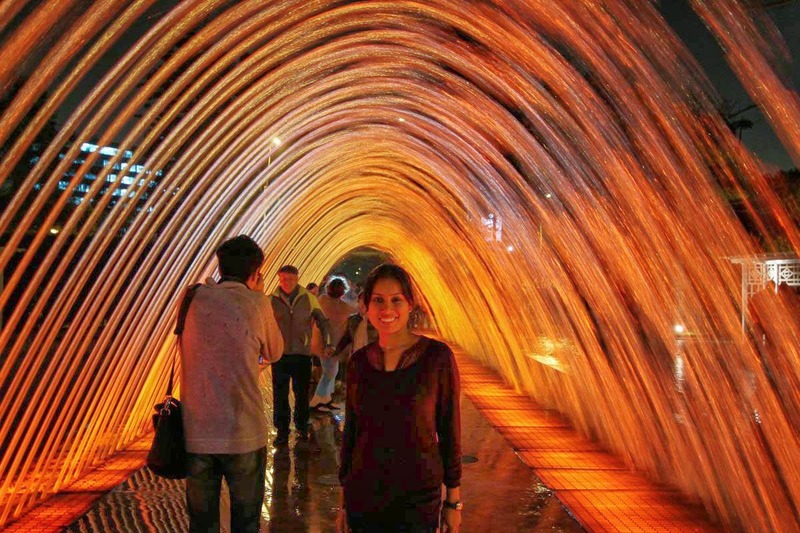 My favorite would be the one in which they create a water fountain tunnel and you can walk through it without getting wet. There is a water show every hour, but I had seen something similar before so I didn't really find it very impressive. Nothing extraordinary. We did not get time to visit Miraflores. It has a very popular beach and is famous for clubbing and nightlife. If you are craving for Indian food, Mantra restaurant is a good choice. Very authentic and delicious indian food. Had to wait for a bit though, but I wouldn't complain. I got Indian food after a week of starving and two days of hospital food! Public transport is pretty good in Lima. But we used cabs as they weren't very expensive and we didn't have much time on our hands. It is a good idea to check for the hours of operation for the museums and churches as some of them close by 5 pm and are not open 7 days a week. Lake Titicaca: The highest navigable lake. Overnight trip from Cusco. Nazca Lines: Ancient motifs carved in Nazca desert. A little farther away from Cusco. Choquequirao: Another set of beautiful ruins close to Cusco. A day trip probably.